Please find below the list of ACP members. All the details on the new ACP fee structure can be found here. 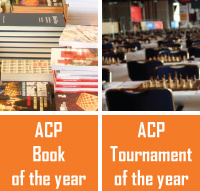 Please, note that every ACP member can have more than 1 title attributed.